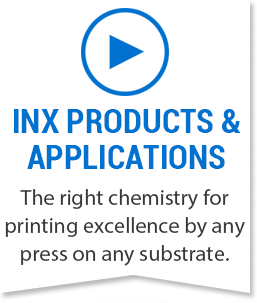 INX is the only company to manufacture and offer both inks and specialized coatings for commercial and digital printing as well as paper, flexible and rigid packaging. INX offers a full palette of digital ink systems for alternative OEM, industrial and custom print applications. INX is helping digital integrators cost-effectively create printing systems with JetINX printhead drive electronics, ink delivery systems and software.